food | THE FReEsPiRit !!! Random pictures with Newton’s half bitten fruit ! This picture was shot during my trip to chicago with husband in July at Ghirardelli chocolate shop. 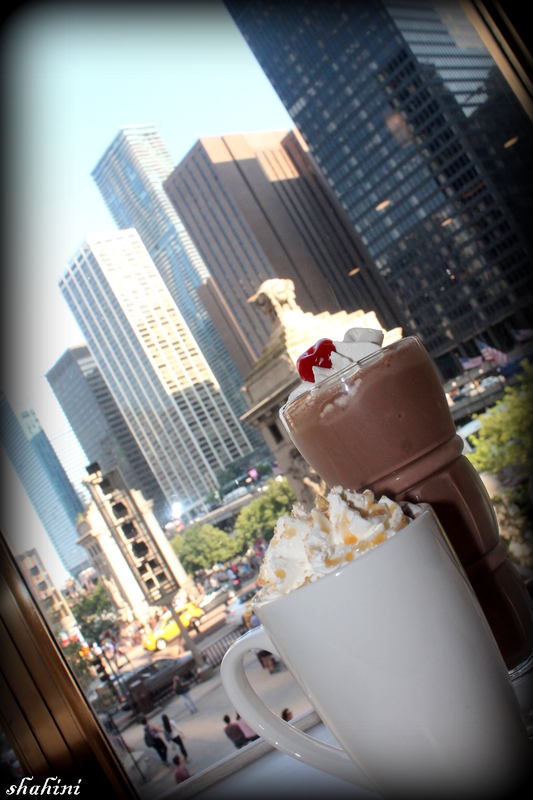 I just cant forget the yumminess of the cold chocolate which you can see above..
Coffee, chocolate and Chicago !! What else to ask for !! You guys enjoy the picture. Pure Pleasure !! 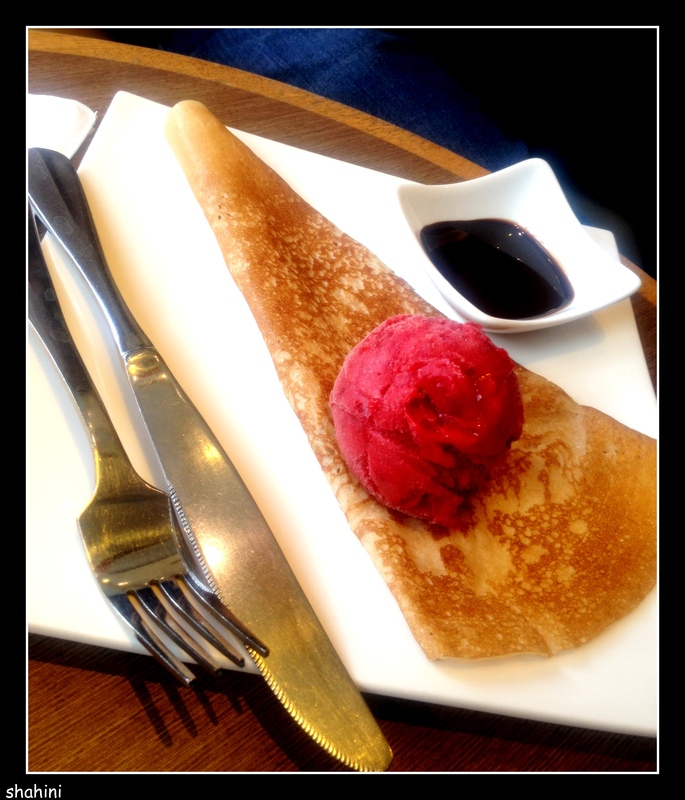 Le Ice-cream……………..
ICE-CREAM ! ICE-CREAM ! ICE-CREAM!! O Lord !! This is something I die for. Whenever I wish to get indulged in pure pleasure I opt for ice-cream. Ice-cream is something I am madly in love with. Whatever be the taste, flavour, shape I crave for all of them. I have tasted a variety of ice-cream till date but the picture of the ice-cream I have shared above is one of the yummiest amongst them. This ice-cream was suggested to me by my husband from the famous ice-cream brand parlor named HAAGEN-DAZS (an American brand). Though initially I was reluctant to have it but later I went on saying thanks to him for introducing me to such great taste. This particular ice-cream was of raspberry flavour which had an unique tangy taste.. The ice-cream was served with chocolate sauce which was a perfect compliment to it. This ice-cream still takes takes me to the “ice-cream lala land” and I am again looking forward to taste it soon. If you have Haagen-dazs parlor near you then do go and grab it asap !! One fine afternoon . It was too sunny, she was waiting for her favourite food to be delivered. She hated the sun . Standing in the queue he came closer and in front of her to give shade. They looked deep into each others eye and fell in love once again. p.s I guess my this short story of life resembles that of many of you lovebirds..
OH MY !! 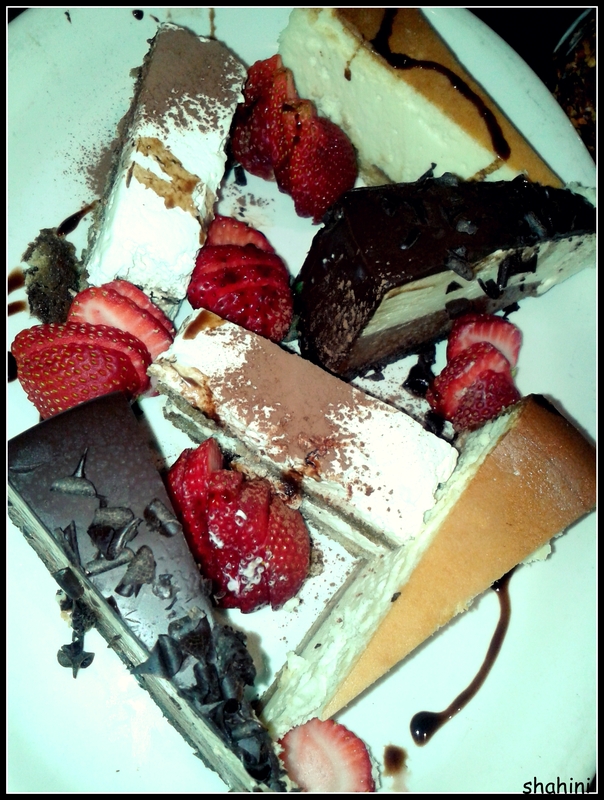 I still cant forget this plate of desserts.. yumilicious choco cheese cake..